Polls show Ma Ying-jeou neck-and-neck with Tsai Ying-wen, opposition leader of the DPP. While the efforts by Taiwan’s President Ma Ying-jeou to ease tensions with China have won him approval in Washington, they are not so popular with Taiwanese voters who may turf him out of office in January. Polls show Ma, elected in a landslide in 2008, running neck-and-neck or marginally behind opposition leader Tsai Ying-wen of the Democratic Progressive Party (DPP), but a substantial number of voters among the island’s 23 million population remain undecided. Two issues have undermined Ma’s drive for a second four-year term as president. 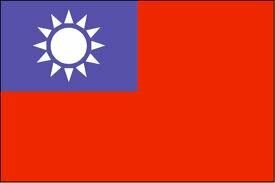 One is the perception among many Taiwanese that Ma’s efforts to build good relations with Beijing risk the island’s sovereignty as an independent nation, a status about 90 per cent of the population wish to guard. The other, more viscerally important for most Taiwanese voters, is that even though Ma’s willingness to make trade and financial agreements with China have given a big boost to the island’s economy, the benefits have gone to a small minority of business leaders. Taiwan was once one of the most equitable societies in the world, but since Ma’s administration signed an Economic Cooperation Framework Agreement with Beijing last year and ratified 15 associated agreements, economic disparity in Taiwan has accelerated. The headline numbers look great. The economy grew by nearly 11 per cent last year, exports are at record levels, the trade surplus is healthy, and foreign currency reserves are the world’s fifth largest. Ma insists these benefits will eventually trickle down. But there’s no sign of that now. Labour costs have fallen, and not only because of increased productivity. Real wage values are now four per cent lower than what they were 12 years ago. DPP leader Tsai’s campaign is focusing on these economic ills, which are of particular concern to Taiwan’s increasingly large cohorts of young voters who are viewing with alarm an unfriendly job market and rising living costs, especially for housing. Tsai’s campaign emphasizes fighting inequality, financial reforms and urban redevelopment. Although she has a long history of involvement in the issue of relations across the 180-kilometre-wide Taiwan Strait with China, Tsai has been purposefully opaque or so nuanced as to be incomprehensible on the matter. Her problem is that the DPP supports Taiwan’s continued independence in the face of Beijing’s claim to own the island. During the administration of former DPP President Chen Shui-bian from 2000 to 2008 this led to several angry and aggressive moves by Beijing which in turn worried Washington that it might have to live up to domestic legislative requirements that it aid in the island’s defence if it is attacked. Tsai has tried to convey the message that, as President, she would not goad Beijing. Even so, she has a long record of challenging Beijing’s claims. Tsai, a law graduate from Cornell University with a PhD from the London School of Economics, is no novice on the China file. She was, for a while, a consultant to Taiwan’s cabinet-level agency on relations with China, the Mainland Affairs Council, and was made the head of the office in 2000 before being appointed vice-premier by Chen. But Tsai, who only joined the DPP in 2004, has remained largely untainted by the corruption scandals and tumultuous internal factional politics that swirled around the end of the Chen era. She became the chair of the DPP in 2008 and has surprised many observers by her methodical rebuilding of the party, which has done well in legislative byelections and in municipal elections last year. And so far her policies, or lack of them, on cross-straits issues have not been a major weakness in the face of Ma’s self-damage on the issue. On Thursday last week, Ma had to hastily revise his position after polls and normally supportive media criticized him for remarks on Monday in which he foresaw the possibility of a peace agreement with China within 10 years. This was widely seen as a step toward political unification, which very few people in Taiwan want. Many commentators have noted, however, that this is not a commitment to a referendum.